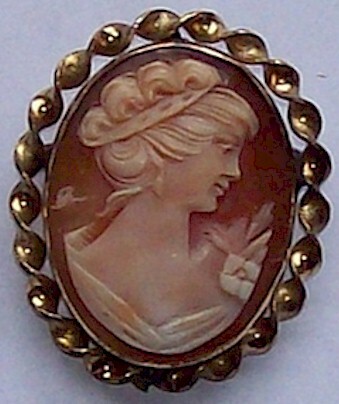 This is a 30x22mm hand carved vintage shell cameo. 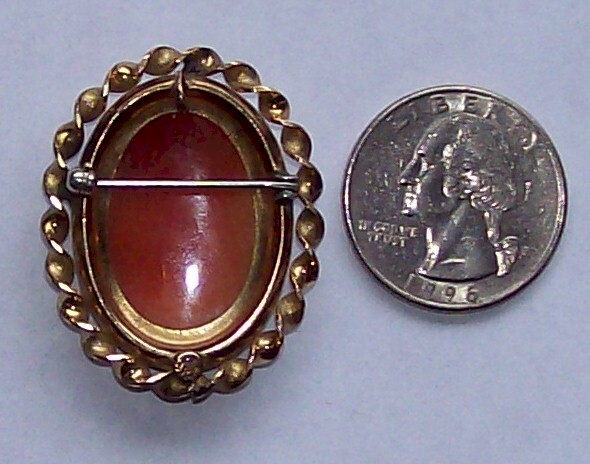 It is mounted in a 12kt gold filled twisted wire bezel. This is a vintage piece I do not polish real antique and vintage pieces. I like the genuine patina but you can certainly do that if you want. The back has what I believe is a manufacturers mark of "TK" Also marked 12kt GF. Pin Back moves smoothly. 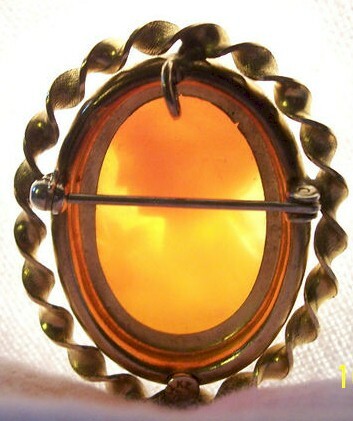 It has a ring on the back so you can hang it from a chain and also use it as a pendant. 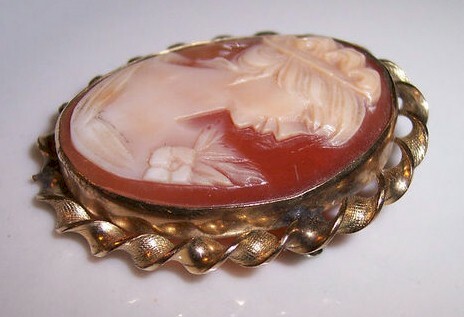 Nice color to this cameo.